For many years the pipe organ was used to provide accompaniment for films. The American Theatre Organ Society exists to help preserve and perpetuate the musical theatre pipe organ heritage that began in the early 20th century. 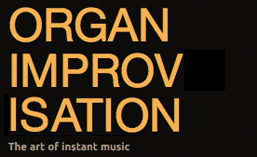 Because the number of theatre organs has been greatly reduced, classically trained improvisers have started to accompany films on traditional church organs as one way to preserve and continue the art form. While film accompaniment may not require the contrapuntal skills to create a fugue, it poses other challenging demands for the improviser. Depending upon the movie, there can be long tension builds, sudden shifts of mood, and even the need to create a few sound effects. As an effort to catalog or discuss film accompaniment on the organ could be the focus of a whole other website, I have chosen to list below those organists already included here that also accompany silent films on a regular basis along with examples where available. often accompanies the silent films of Charlie Chaplin, Buster Keaton & Harold Lloyd. Timothy Tikker provides organ accompaniment for the 1931 version of the film included in this DVD. Available through Forgotten Books or Amazon. The Silent Film Sound & Music Archive also offers a free download of the above title as well as several other instruction books for movie accompaniment. Posted in Book, Form, Style. Tagged Book, David Briggs, Dorothy Papadakos, Film accompaniment, Mathias Rehfeldt, Pierre Pincemaille, Thierry Escaich, Timothy Tikker, Todd Wilson. After studies at the Milan Conservatory, in 1998 he graduated in the class of Giancarlo Parodi in Organ and organ composition as well as Edoardo Filus and Hans Fazzari in piano. He has attended various masterclasses, studying with Daniel Roth, Lorenzo Ghielmi, Giancarlo Parodi and Klemens Schnorr and he also studied with interest organ improvisation and composition. (in the class of Giuseppe Colardo) After the courses of organ improvisation with Stefano Rattini and Fausto Caporali, he continued his studies of harmony and improvisation with Pierre Pincemaille in Paris. Since 2008 he is officially the titular organist of the Teatro alla Scala in Milan. 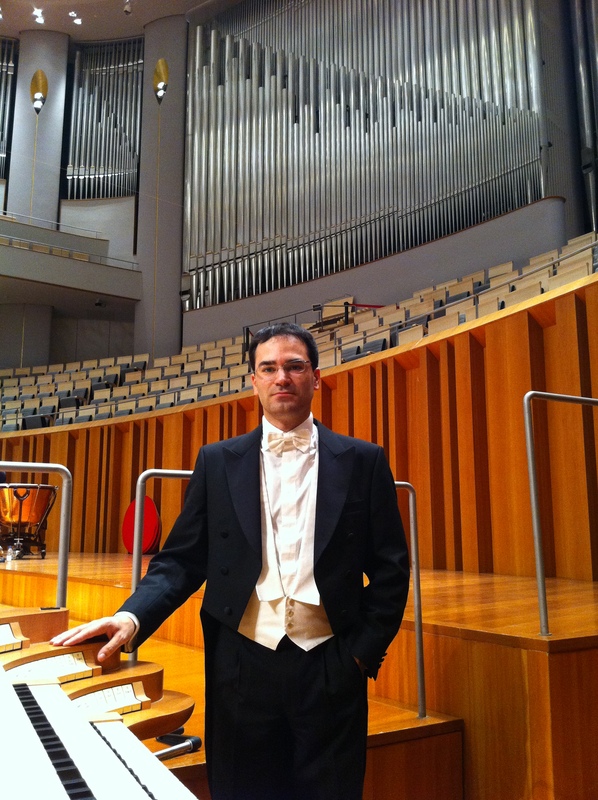 He also serves as organist of the great organ “Bonato 2013” of S. Anastasia church in Villasanta (Monza) and organist at the Basilica of San Carlo al Corso, Milan. Posted in Organist. Tagged Adagio, Attende Domine, Ave maris stella, Basilica di San Carlo, Daniel Roth, Fausto Caporali, Giancarlo Parodi, Giuseppe Colardo, Intermezzo, Klemens Schnorr, Lorenzo Bonoldi, Lorenzo Ghielmi, Milan, Milano, Paris, Pierre Pincemaille, Stefano Rattini, Teatro alla Scala, Toccata, Versetti, Victimae paschali laudes, Villasanta, YouTube. Posted in Themes. Tagged Attende Domine, Ave maris stella, chant, Conditor Alme Siderum, Gerre Hancock, La Trinité, Liturgy, Loïc Mallié, Magnificat, Mass, Olivier Messiaen, Otto Maria Krämer, Passacaglia, Pierre Pincemaille, Plein jeu, Puer Natus Est, Salve Regina, Scherzo, St. Denis, theme, William Porter, Worship. Popular songs are frequent themes for concert improvisations, usually giving rise to a set of theme and variations, though occasionally being used in other forms. As the melody is usually very familiar to the audience (i.e. popular), it is generally easier for the people to follow and understand the development of the theme when well presented. Posted in Themes. Tagged Children, form, Franz Lehrndorfer, Luxembourg, Olivier Latry, Pierre Pincemaille, popular, song, The Simpsons, theme, Toronto, variations. 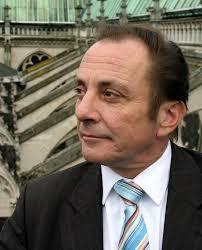 In 1987, Pierre Pincemaille was appointed Titular Organist to the Basilique de Saint-Denis. Posted in Organist. Tagged Basilique, French, Paris, Pierre Pincemaille, Recording, St. Denis.